If you are on social media a lot then you might know about the situation going on with talk show host Wendy Williams. Her story is really kind of sad readers. First of all my opinions on Wendy. I have followed her career from afar. I learned about her after her battle on New York radio station WBLS where Williams was a well know radio DJ. Williams likes to confront folks on the air and her style has made major headlines. Wendy got into a huge beef with the late great Whitney Houston via the phone years ago. And ladies and gentlemen it was a REAL beef!! Because Whitney is from the hood. The hood had really never left the late Houston. Things were so heated between Houston and Wendy, somebody could have been hurt because Houston was pissed and she was not having it at all. That’s real talk. Wendy was messing with the wrong person when she tried to challenge Whitney. There is most likely audio of the beef between Whitney and Wendy on You Tube. I have never liked Williams on air style most of the time. Her ratings have been good so she has her fans. They love her Hollywood gossip segments. But lately things have been going downhill for Wendy Williams. And when you are a public figure, everything is out in the open. That is just the way it is with the internet and social media. A few months ago, all of a sudden Williams announced she will take a leave from hosting her TV show. And that is when all hell broke out as far as rumors. People started to ask what is going on with Wendy? Well the word is out. And it seems a lot of the problems with Wendy is alcohol or drug related. And those problems most think started when rumors spread that Williams husband, Kevin Hunter was having another relationship and not only that, Hunter has got another lady pregnant. And the stress got to Wendy big time. All of a sudden fans of the Wendy Williams talk show did not see her hosting her popular program. Folks like Nick Cannon took over for Wendy as host. People were asking what has happened with Williams. Why did she take a leave from hosting her program. They learned that it was not a “vacation” for Wendy. There was another reason why Williams was not hosting her talk show. The internet was and is full of rumors and stories. Then a few weeks ago Wendy returned to hosting her program. She came back to talking about her hot Hollywood gossip that has made her talk show a hit on daytime TV. And then Williams dropped a bomb on her fans. Wendy told everyone that she has been in a drug/alcohol treatment program. And she let it be known that since her return to her talk show, she heads to the studio to tape her talk show and then returns to the drug and alcohol program. She is for now staying at the program. WOW! This is crazy readers! 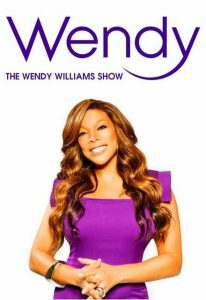 Wendy is living in a drug and alcohol program, then leaves it to go tape “The Wendy Williams” program and then returns! UNREAL!! A story has also came out on social media that she was seen out and about drunk a few weeks ago. I guess she took a break from being at the program? I do not know ladies and gentlemen. I just know the Wendy Williams situation is not good for Wendy and her fans and even her family. Truth be told I am worried about Wendy. Even though at times, I do not like her style of putting folks on blast starting back when she was a very popular DJ on WBLS in New York and then on her TV talk show. Because let’s face it, Wendy is a very popular and known public figure. And it seems that the relationship with her husband is driving her off the deep in sorry to say folks. And for her husband to maybe have a child from another lady, that of course is earth shaking for Wendy and her family too. Because like the title of this article says, when you are a public figure, everything is out in the open. Truth be told, even myself in a MUCH MUCH smaller way. I have been in the public eye with my media over 27 years. I have to be careful and TRY to stay on the right path. Stay in the right lane. It is not easy readers. Not easy at all. Like I said, I may have a problem at times with Williams blasting celebrities on her program, I will give her props for allowing her fans to know what is going on when it comes to her health. 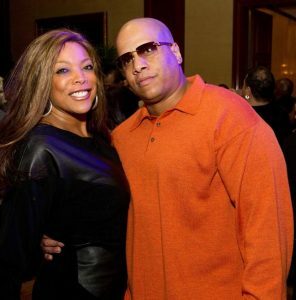 Shout out to Wendy Williams for that! Let all of us say a prayer for Wendy and her family. Previous PostTired Of Hearing About Where Kevin & Anthony & Kyrie Are Going To Play!! Music Inner City TV From The Grammys & Clive Davis Party Soon!